This is my personal and urgent appeal for solidarity towards the Greek citizens, which I address to each and every citizen of our world. “... You assume, Mr President, the Greek Presidency of the Republic for five years where there will be significant events and developments: The European integration will be promoted by passing, possibly, the Constitutional Treaty, national borders and a part of national sovereignty will be limited for the sake of peace, prosperity and security in an enlarged Europe, human rights and citizenship will undergo changes as they can be protected, but also violated by authorities and powers beyond the known and established ones, and also, our Republic will face challenges and probably, she will be tested by new forms of governance. Our country, also, will have to face serious dilemmas in many areas: In national issues routed developments requiring unity and sobriety, the economic and social fields must be made incisions and take serious decisions to improve the lives of citizens, education youth will require transitions in education and training, the Greek culture should regain its historical lead...”. 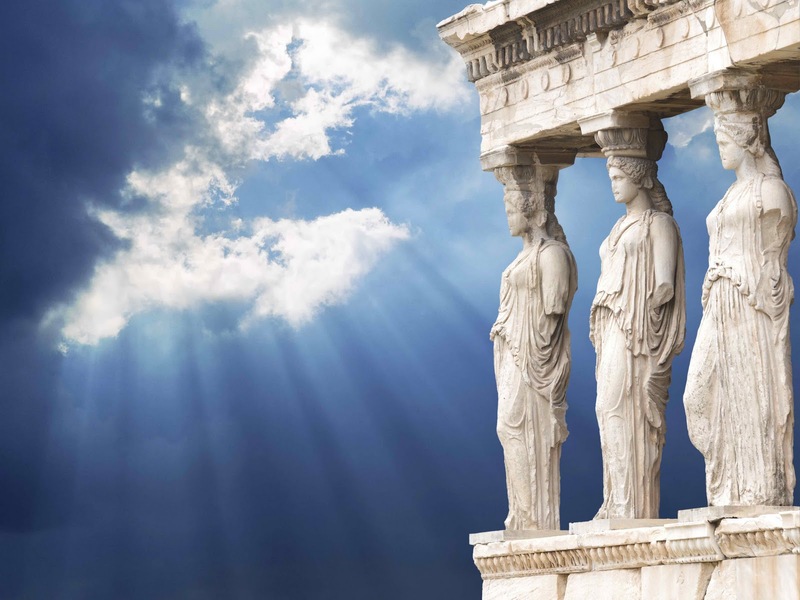 Greek citizens are forbidden, by law, to gain complete access at their own personal judicial files. Those judicial files are being maintained in electronic form by private companies, the employees of which, probably, may have access to the other citizens' judicial information. There are sufficient indications that, for the last 40 years, there have been occasions were innocent, legitimate and creative civilians, have been and/or are being, systematically tortured and/or illegitimately persecuted by false or secret trials due to political reasons. Abusages of laws and/or abusages of social foundations have been and/or are being committed for this reason. For example, is the Greek Minister of Justice, Mr. Nickolaos Paraskevopoulos willing and able to justify both, the complainant's dire straits, as well as, the vital witness' dire straits, with regard the lawsuit Β13/141/13-5-2013, ΙΒ/13/20946 Αθ.? Human torturing is atrocious and inhumane, though, ordinary citizens may have difficulty to comprehend it. However, those who might wish to understand the negative consequences upon the structure and the dynamics of an entire society within which human beings are being systematically tortured (without, of course, dangerously intruding into the viciousness and the secrets of the underworld), he could either, visit Mr. Karl-Heinz Richter at the Berlin-Hohenschönhausen Memorial and discuss with him, or, he could contact myself (I am almost equally informed, as Mr. Richter). It is, almost, impossible for any honest, dissent, legitimate and creative ordinary Greek citizen to participate actively within Greek political system, unless he previously and totally engage himself in the puerility, for the current economic, social and political conditions of Greece, to exclusively inculpate, the Greek “politicians” and the Greek “oligarchs”, the Greek “corruption” and the collective “choices” of the Greek citizens. According to his recent appeal on 22/2/2015, Mr Mikis Theothorakis, currently one of the greatest music composers and peace activist, in Greece “... foreign interests have long ago formed a social-economic-political establishment for 100% supporting those interests, by totally controlling our fellow citizens in all aspects and by all means, while having constructed an effective system of Power, Intimidation and Control (Army, Police, State, Mass Media, etc.) in order for formulating, namely, deforming those citizens at their most sensitive characteristics, namely, at the way they think, at their habits, at their morality, by neutralizing their historical and political memory, all of which creates a universal awe and a complete abandonment of any idea, and much more of any action, which is contrary to the mindset of this social-economic-political establishment...”. Here in Greece, both, human creativity, as well as, material wealth resources, are in excess. Theoretically, we have all mental and material prerequisites for both, restarting, as well as, for fully restoring the Greek economy by our own means. However, practically, we are being obstructed to materialize our, almost, innumerable ideas and opportunities for creating new businesses, due to our establishment's inner intolerance for native Greek investments. Even after, the recent internal devaluation of our economy and the large decrease in salaries and pensions, the consumers goods' prices remain inexcusably high. Many Greek people are suffering from poverty and the public health infrastructure has almost collapse. A large part of Greek society suffers from an humanitarian crisis. There is an enormous discrepancy between, the information with regard to the true feelings, the true characteristics and the true interests of the bilateral relationships with the other Nations, and of the corresponding misinformation which emanates from the local and the international mass media. From my personal experience I am totally aware that the proximity between the Greek Nation and most of the rest of the Nations causes exclusively warm and friendly emotions and fluency in directly cooperating. My appeal is being addressed neither to the foreign governments, nor to the international collective foundations. Instead, my appeal is being addressed exclusively to the foreign ordinary citizens. According to my opinion and under the current adverse conditions, Greece needs to temporarily “borrow” vital economic space from other Nations in order to host all the necessary economic development for restoring both, the currently destroyed Greek economy, as well as, the normality within Greek social and political systems. Practically, this kind of solidarity means the willingness, on behalf of the other Nations' ordinary citizens to establish joint business operations which may jointly exploit both, the Greek material resources, as well as, Greek business ideas. A part of the intended, by those joint businesses, monetary profits may finance the intense and urgent needs of our Greek Nation. For example, currently, I am in France exclusively for promoting this kind of cooperation with regard to an innovative kind of robotic arm which uses linear joints, and also, with regard to a specific kind of industrial machinery. There are, almost, innumerable other domains for establishing mutually beneficial business cooperation. The “key” issues are, the willingness to exercise practically, solidarity and the exclusively unmediated bilateral approach between ordinary citizens. We, the Greeks, are rational, friendly, peaceful, non-violent, kind and beneficial kind of people. We are, neither, the only Nation which has been systematically slandered, and sadly, nor the last one. And, also, this current international quasi epidemic of greed is, neither, the first one, and sadly, nor the last one. In such global conditions were globalized greed has, temporarily prevailed, what might be more rational reaction than exercising peaceful, prudent and creative solidarity? Appendix: The complete duties award ceremony, in Greek language. Κύριε Πρόεδρε, αναλαμβάνοντας τα υψηλά καθήκοντα του Προέδρου της Ελληνικής Δημοκρατίας, έπειτα από μια 10ετή, κατά γενική εκτίμηση, συνετή και εποικοδομητική θητεία του προκατόχου σας κ. Κωνσταντίνου Στεφανόπουλου, καλείσθε να μετουσιώσετε σε πράξη τα υψηλά ιδεώδη και τις αρχές που το Σύνταγμα έθεσε ως βάση και αποστολή του προεδρικού αξιώματος: την ενότητα του έθνους και του λαού, την επαγρύπνηση για την ορθή λειτουργία του πολιτεύματος και τη διατήρηση συναινετικού κλίματος μεταξύ των πολιτικών δυνάμεων στα μεγάλα εθνικά και κοινωνικά ζητήματα του τόπου. Αυτή η ίδια η υπόδειξη και η εκλογή σας υπήρξε άλλωστε προϊόν συναίνεσης σύμφωνα και με το πνεύμα του Συντάγματος, γεγονός που σας εξοπλίζει με πρόσθετο κύρος για την επιτέλεση των καθηκόντων σας. Αναλαμβάνετε, κύριε Πρόεδρε, την Προεδρία της Ελληνικής Δημοκρατίας για μία πενταετία όπου θα σημειωθούν σημαντικά γεγονότα και εξελίξεις: Η Ευρωπαϊκή ενοποίηση θα προωθηθεί με την ψήφιση ενδεχομένως και της Συνταγματικής Συνθήκης, τα εθνικά σύνορα και ένα μέρος της εθνικής κυριαρχίας θα περιορισθούν χάριν της ειρήνης, της ευημερίας και της ασφάλειας στη διευρυμένη Ευρώπη, τα δικαιώματα του ανθρώπου και του πολίτη θα υποστούν μεταβολές καθώς θα μπορούν να προστατεύονται, αλλά και να παραβιάζονται από αρχές και εξουσίες πέραν των γνωστών και καθιερωμένων και πάντως η Δημοκρατία θα συναντήσει προκλήσεις και θα δοκιμασθεί από ενδεχόμενες νέες μορφές διακυβέρνησης. Η χώρα μας εξάλλου θα έχει να αντιμετωπίσει σοβαρά διλήμματα σε πολλούς τομείς: Στα εθνικά θέματα δρομολογούνται εξελίξεις που απαιτούν σύμπνοια και νηφαλιότητα, στον οικονομικό και τον κοινωνικό τομέα πρέπει να γίνουν τομές και να ληφθούν σοβαρές αποφάσεις για τη βελτίωση της ζωής των πολιτών, η διαπαιδαγώγηση των νέων θα απαιτήσει αναπροσανατολισμούς στην εκπαίδευση και την κατάρτιση, ο ελληνικός πολιτισμός θα πρέπει να ανακτήσει την ιστορική του πρωτοπορία. Ενόψει των παραπάνω η ρυθμιστική και ενοποιητική αποστολή που σας αναθέτει το Σύνταγμα αποκτά ιδιαίτερη σημασία. Είμαι βεβαία ότι θα ανταποκριθείτε άριστα στον υψηλό αυτό ρόλο, με όπλα τη μακρά πολιτική πείρα σας, την επιστημονική σας κατάρτιση, την κοινωνική ευαισθησία και τον ήπιο και μετριοπαθή χαρακτήρα σας. Θα έχετε άλλωστε αρωγό και συμπαραστάτη τους παράγοντες του πολιτεύματος και όλες τις πολιτικές δυνάμεις». «Αξιότιμη κυρία Πρόεδρε της Βουλής, το αποτέλεσμα της σημερινής ψηφοφορίας της Βουλής, που μόλις μου ανακοινώσατε, δικαιώνει τη συνταγματική επιδίωξη για συναίνεση στην εκλογή του Προέδρου της Δημοκρατίας. Πιστεύω ότι η συναίνεση είναι κατάκτηση για τον πολιτικό μας πολιτισμό και αίτημα της ελληνικής κοινωνίας για όλα τα μεγάλα ζητήματα που απασχολούν την πατρίδα μας. Η επικοινωνία μου με τους Έλληνες πολίτες με έχει διδάξει ότι αποτελούν συλλογικό ζητούμενο η πολιτική ωριμότητα και εντιμότητα, το μέτρο και η ευαισθησία στη δημόσια ζωή, ώστε να προετοιμάσουμε ένα καλύτερο αύριο για την πατρίδα μας και να οικοδομήσουμε μια κοινωνία λιγότερο εγωιστική και περισσότερο δίκαιη. Με σεβασμό στις απόψεις όλων των κομμάτων και των αντιπροσώπων του ελληνικού λαού, ευχαριστώ θερμά για τη μεγάλη τιμή, την οποία αποδέχομαι με αίσθημα ευθύνης. Και πάλι σας ευχαριστώ».